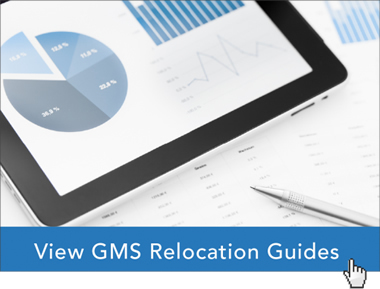 When it comes to the corporate relocation process, finding the right fit for employee mobility can be difficult. Different areas of the world are better positioned for personal and professional growth depending on the vertical, but developing in an emerging market is much easier said than done. A multilayer economic hotspot may be the ideal location to relocate talent for new or existing business ventures, but it takes time and a depth of knowledge to successfully adapt and find personal success in a new market. Emerging markets offer unique opportunities for expatriates. Central America: Although this encompasses several different countries, the region is small enough where businesses could individually identify local economies and choose which one best aligns with their business needs. CBS News recently came out with a list of the ten best places to invest in real estate, and half of the locations were located in Central America. The low cost of living and typically warm climate make for happy employees, which is a primary objective of global relocation. In terms of real estate investment, finding a return in this region of the world won’t be as difficult, either. CBS specifically cited Mexico, two cities in Belize, Nicaragua and Panama as possible real estate investment gold mines. Businesses and their employees can consult relocation services on the best areas to buy or lease property once a move location is decided. Colombia: The South American nation isn’t exactly well-known on the international stage as a manufacturing haven, but it’s proximity to the coastline, strong economic growth and cost of doing business make it a viable possibility to relocate talent. Bloomberg predicts GDP growth between 2013 and 2017 will occur at a rate of nearly 22 percent with just a 3 percent inflation rate. A separate Reuters report noted Columbia’s economic growth was as high as 6.5 percent in the first quarter of 2014, although that figure dipped to 4.3 percent in the second quarter. A strong economic backbone and low projected inflation present an opportunity for relocated talent to find personal and professional success. Indonesia and Malaysia: While China, India and Korea dominate the economic growth talks, smaller nations such as Malaysia and Indonesia are gaining a considerable amount of attention with regard to commercial prosperity. The two nations are separately governed bodies, but the bordering nations’ economies will likely continue to grow in the next few years. Indonesia’s GDP is projected to grow more than 30 percent between 2013 and 2017, while Malaysia is expected to mature 22 percent in the same time period. The latter nation’s inflation rate is as low as 2.5 percent and has a considerably low ease of doing business rank, according to Bloomberg. While vast cultural changes may prove to be a challenge for newly moved employees, global relocation firms can provide talent with services to help the settling-in process, whether it’s through offering van line services, tax preparation or providing ongoing counseling and support after the move. Turkey: Bloomberg also ranked Turkey in its top-20 emerging markets, calling the nation the seventh-most viable nation for economic growth. Its GDP is forecast to grow more than 21 percent between 2013 and 2017, but its inflation rate is 5.4 percent, which has pundits jumping off the Turkish bandwagon. However, Turkey is a highly opportunistic market not only because of the current local real estate boom, but also because its workforce is packed with young and emerging talent. CBS News reported that half of residents in Istanbul, the nation’s capital and largest economic market, are aged 30 and younger, meaning buying power in Turkey is likely to increase as the rest of the population ages. Young talent may enjoy moving to this Western European and Southeast Asian nation not only because of its projected GDP growth, but also because of the young and emerging talent surrounding them. A youthful workforce in the nation’s capital specifically may help newly moved talent find individuals who have similar interests and desires, thus making the relocation process easier. Emerging markets provide a strong opportunity to relocate top talent. Businesses can benefit from sending employees to other countries to help further develop company production and create new business resources. Recent Ernst & Young forecasts show investors are already exploring emerging markets as developing countries are attracting half of foreign direct investment. 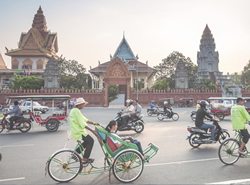 Companies focused on employee mobility are moving toward emerging markets, and a business that relocates its top talent to these locations could directly benefit from regional economic growth. Brought to you by Global Mobility Solutions, a trusted partner in global talent management.